Home › Announcements › Morrow County now represented in Historic Oregon Newspapers online! In partnership with the Morrow County Museum in Heppner, Oregon, several early newspapers from Heppner are now available for keyword searching and browsing online at Historic Oregon Newspapers! Incorporated on Feb. 9, 1887, the town of Heppner has seen many years’ worth of historical events in the Northeastern region of Oregon. In 1885, Morrow County was created, carved from the already existing Umatilla County. 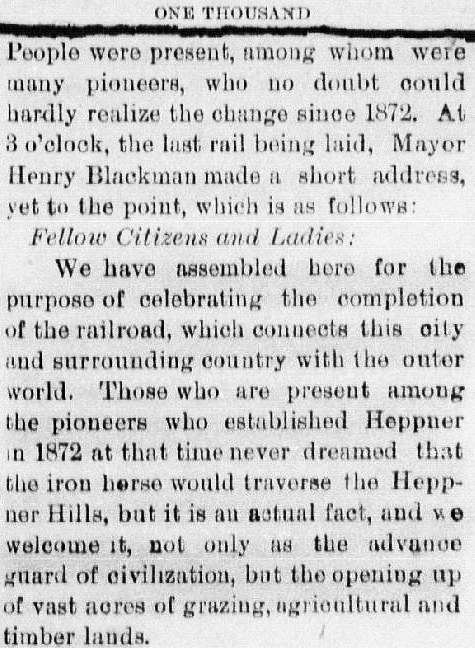 In 1888, Heppner welcomed it’s first railroad line, which was a spur from the Columbia River. As more railroads and roads were added over the years, Heppner became a regional trade center. 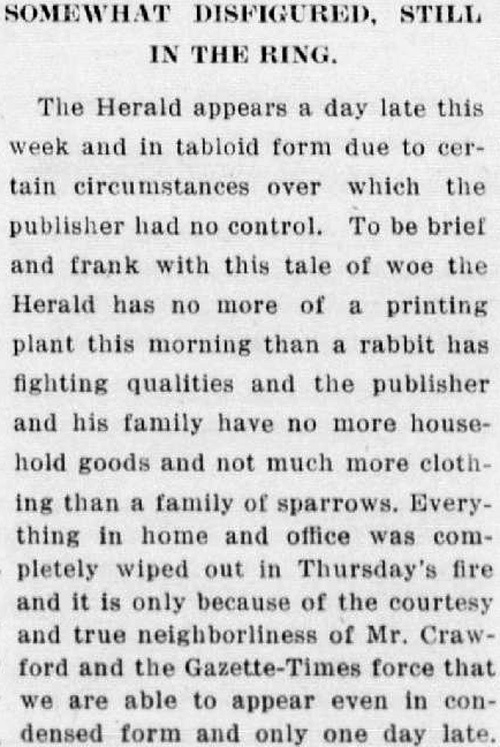 You can follow the community’s enthusiasm and the development of the railroad through these historic newspapers with a search for “railroad,” limited to Heppner titles with results listed in date order. 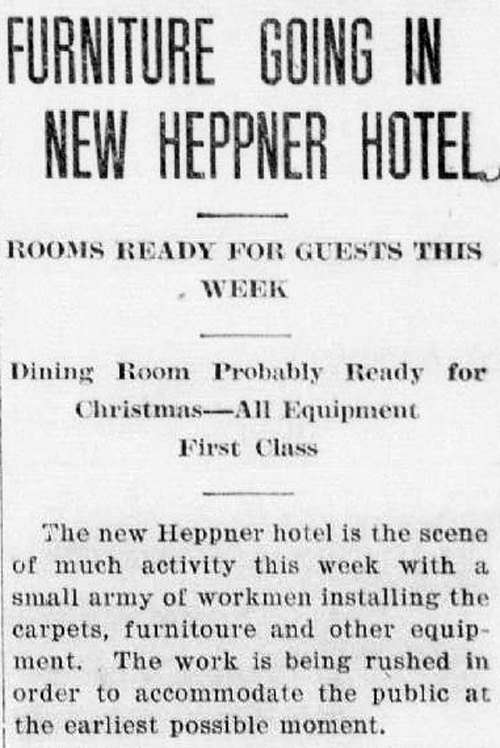 We found the following entries, but there are over 2,000 pages of Heppner newspapers that mention railroads, so you won’t be bored! These clippings are just a few examples of the content that can be found in Heppner’s historic newspapers. Search or browse these titles and see what other kinds of interesting things you can find! 1 Pings/Trackbacks for "Morrow County now represented in Historic Oregon Newspapers online!"